This class serves as a great stress reliever and helps instill a strong sense of appreciation for the aesthetic arrangement of flowers. Led by Mary Lou Hayden, an instructor of floral design, students design a number of floral arrangements that include wedding bouquets and silk corsages. Students also learn a few things about taking care of plants. They will be each given a houseplant to take care of during the beginning of the semester. Though there is a laboratory materials fee, the 3 credit hours and relaxing feel of arranging flowers more than make up for it. This class focuses on how persuasion affects individuals and society. If you take this class, you will explore various perspectives and models of persuasion and examine theoretical and pragmatic approaches to the art. In addition to being an interesting class, COM 318 is a fairly easy class that has no final and no homework and just three exams with the lowest one being dropped, and one written assignment. If you would like 3 easy credits and the ability to always convince your friends to share food with you, consider taking this class. PES 116 is a class where you basically just play golf all day. Meeting twice a week, you will focus on different golf techniques such as pitching and chipping and working with different types of golf clubs. You are given a free bucket of golf balls and are allowed to play at Purdue’s golf course for as much as you like. Whether you are new to golf or a seasoned professional, this class is a good way to relax and appreciate the art of whacking a white plastic sphere over a long distance. This class does come with some fees, but for the amount of play time, 1 free credit, and easy homework assignments this class is worth it. This class explores earth and atmospheric sciences based on depictions in popular and documentary cinema. Instead of having to listen to boring lectures about all that “sciency” stuff, you will engage in interesting discussions of how earthquakes, dinosaurs, volcanoes, severe weather, meteor impacts, and the earth’s interior were depicted in movies. You will mainly be watching films, discussing, and answering questions. After completing this class, you will receive 3 credits. This is an easy science class that offers one credit and teachers students the science behind healthy eating. Without any labs, students students will not have to worry about hard lab practicals that can threaten their grade. As you explore the field of nutrition, you will learn about fallacies in current nutrition as well as how to plan an effective diet to suit your needs. This class can also been taken online if you do not wish to walk to a physical location. Would you like to gain some insightful knowledge of the human society? Or maybe you just want an easy 3 credits. SOC 100 is a relatively easy class that encourages you to make analysis of society, culture, social institutions, and social change with different factors such as gender, race, education, and religion. In terms of workload, the homework assignments are easy and you will only have to do about 1 hour’s worth reading per week for an easy A. AD 113 is a chill class where you learn some basic art techniques. You will be assigned some readings as well as practice drawing to be turned in to your instructor. You will soon learn how to be fluent in communication with your sketches, where your thoughts and imaginative bring forth majestic pieces of work. Instead of having to mentally grind out boring math formulas, you get carried away producing fine masterpieces. This class will give you 3 credits. PSY 200 is another easy 3 credit class that can be interesting to both Psych and non-Psych majors. With an easy workload of a few online quizzes and homework, you will breeze through the course as well as explore topics that include mental life, reading, attention, consciousness, imagery, memory, problem solving, decision making, and artificial intelligence. You will be able to take part in interesting lectures that sometimes include some fun guest speakers. If you have the slightest interest in the workings of your noggin, you should consider taking this class. Ever wondered about the process behind constructing a guitar? Or better yet, ever wanted to craft your very own stringed instrument? Well look no further. Here at MET 349 you can do just that. Meeting twice a week for lectures and 4 times a week for labs, you will work in teams of 5-7 people where you guys create an instrument for each person on the team. You will learn different techniques and processes behind constructing your very own stringed instrument, starting from 2D designing on the computer and physical creation in the lab. This class awards 3 credits. CLCS 380 is a super easy class that exams the career of Alexander the Great and to explore the rise of Macedonia and the Hellenistic Civilization. You will learn about various interesting things that include aspects of Greek warfare and the mental genius of Alexander. With trivial exams, homework, and quizzes you will not be stressed at all as you cruise through this class for your 3 credits. 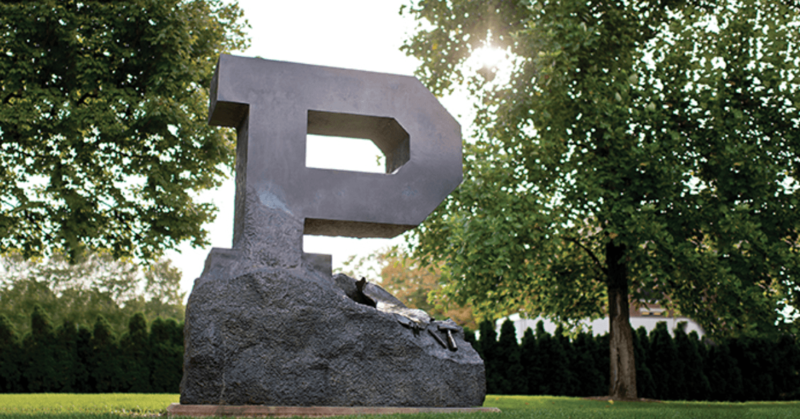 Creating the perfect schedule here at Purdue can be quite hard especially when you need filler classes to get the right amount of credit hours, but with these fun and easy classes, your schedule creation process will be quite painless. In addition, you may learn some things that you may find interesting and insightful. Since none of these classes involve loads of homework and hard tests, you won’t be biased to think poorly of these classes since they won’t give you a hard time. Even if they don’t interest you, at least they won’t get too much in your way.